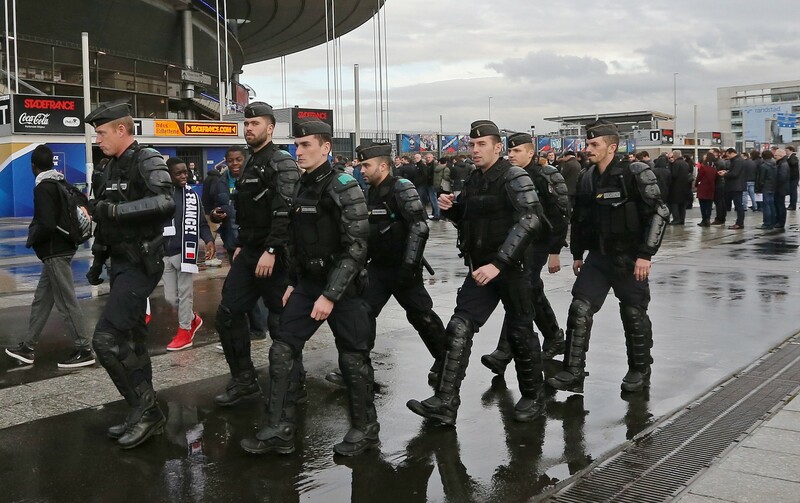 France’s national team came back to the Stade de France , four and a half months after the game vs Germany and the atrocities in Paris and outside the Stadium. Players and supporters alike, celebrated their return with an outstanding, beautiful attacking football, happy again in the warm feeling of unity, the kind of power that only sport can give. 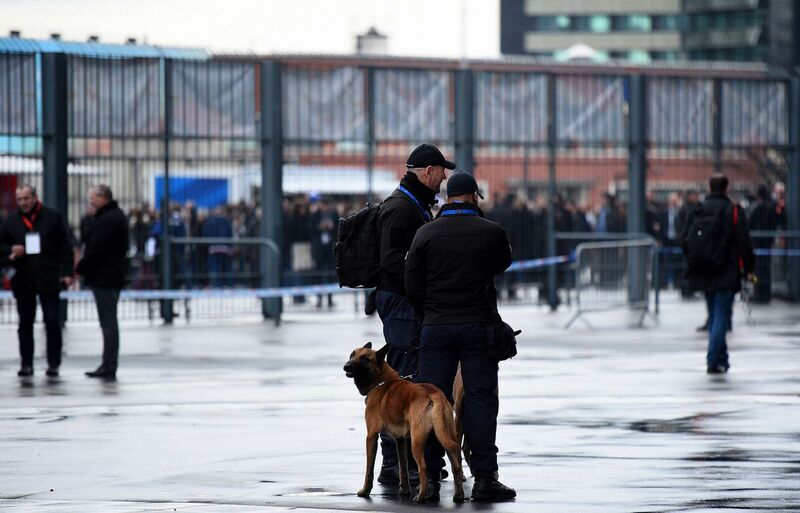 Security was tight; a double steel ring outside of the stadium, 1000 police and special units like snipers, were on duty plus 1400 stewards that checked the spectators with kindness but they also were professional and positive. 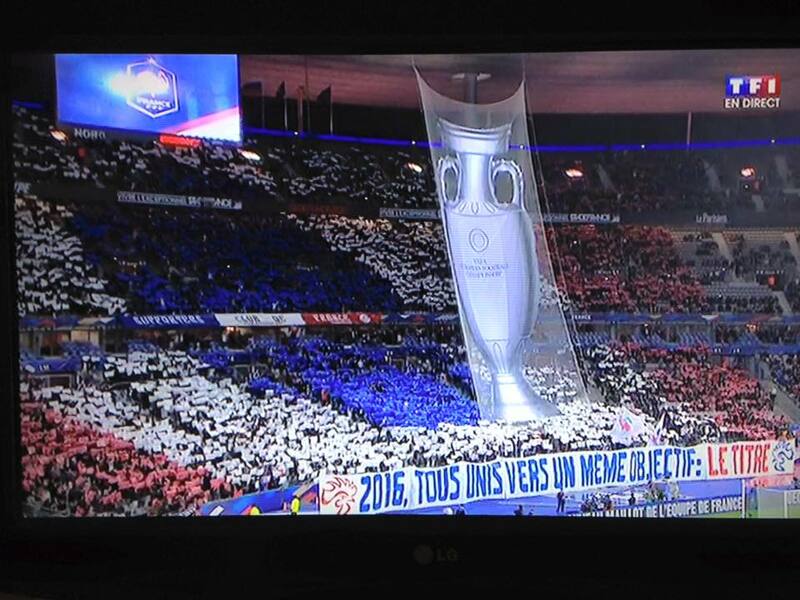 This didn’t change the crowd’s good humor; the French were back in their stadium, their Home of Football and they enjoyed it. 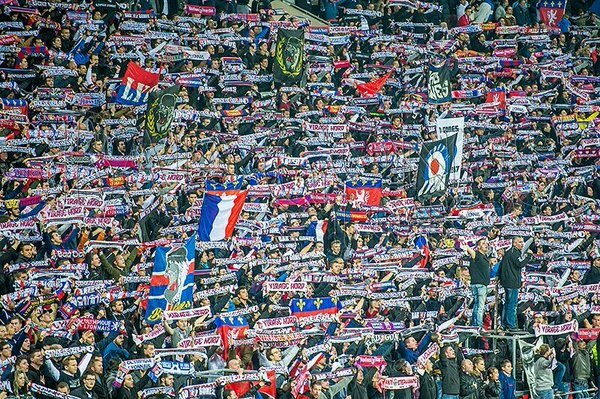 The “Marseillaise” was sang , flags and scarfs waving in every tribune , despite a spring shower and after a very emotional minute of silence on behalf of Brussels victims, the game started and the fun too ! 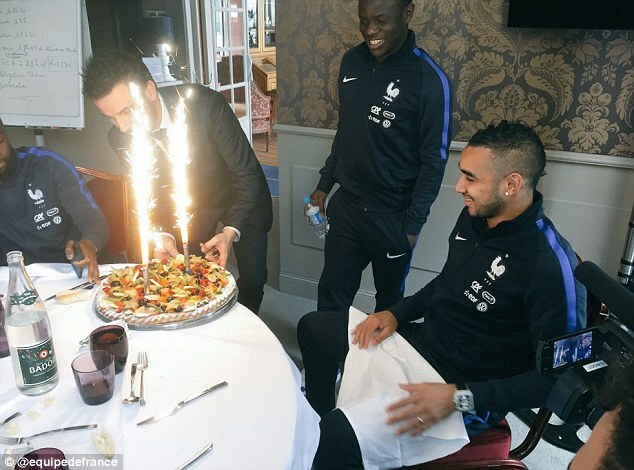 Birthday boys, N’Golo Kanté(Leicester) and Dimitri Payet(West Ham) scored one each, Mexico’s lover boy André-Pierre Gignac and Juventus loanee to Bayern Munich, Kingsley Coman too. An average Russia team managed to score twice, every time taking advantage of french faults; two on target, two goals ! France’s Manager Didier Deschamps wasn’t very happy about this ! A quiet evening for Tottenham’s and France’s Captain; did nothing wrong but conceded twice. Should be more commanding with his defenders. He did not dominate his opponents and was at fault allowing Zhirkov to bypass him and score Russia’s second. It seems that the Real Madrid’s defender is more at ease, when playing with Koscielny; had a quiet evening though. Solid in the game, even if the russian attack wasn’t very threatening; had some difficulty to combine with Martial and won the free-kick wich led to France’s second goal. Subbed due to injury. Quite good during the first half but faded as the second half went on; he was at fault for Russia’s second goal, allowing Chatov to bypass him. He combined well once or twice with Griezmann, though. He combined well, good work on the ball and was involved in Kanté’s goal. Very good game from Marseille’s star; good in possession, worked well the ball and dominated the defensive midfield area. Very good performance for his first start for the national team; the Leicester player showed consistence, desire to push forward and intense, relentless pressing with or without the ball. Also scored a beauty; what a way to celebrate his 25th birthday ! Two assists for France’s first two goals, the Atletico Madrid man showed again his vivacity and skill with the ball. He will be on Deschamps final list, without doubt. Subbed at the interval, he failed to show his usual good dispositions; was it Russians’ good marking, maybe but he was less dangerous than he was vs the Netherlands. 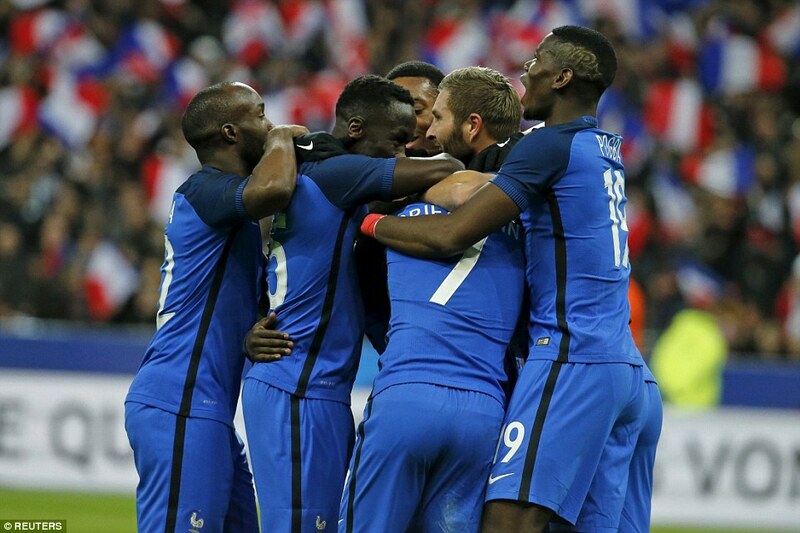 What a wonderful header for France’s second goal from Griezmann free kick ! Held the ball well but will he be able to oust Arsenal’s Giroud from the final list ? Beaten twice, he was subbed at the interval. He tried a number of tackles, some good, some very bad and was responsable in Kanté’s opener. Had difficulty to contain France’s attack force; couldn’t stop Griezmann nor Coman. He fared just as his twin brother Aleksei; unable to deal with Gignac and struggled to contain the french attacks. Couldn’t stop either Kanté or Pogba;should help more his back line, but was unable to do it . Good assist for Kokorin’s goal but was unable to attack efficiently . This is a promising teenager, but he was unable to boss the Russian midfield; better positioning could help the youngster. Scored his second international goal, stranding Salho and dealing well with Martial. A good goal at the start of the second period,good effort at the flank, but he was responsible for France’s second, conceding a silly free-kick. ‹ Netherlands vs France 2-3 Players Ratings .